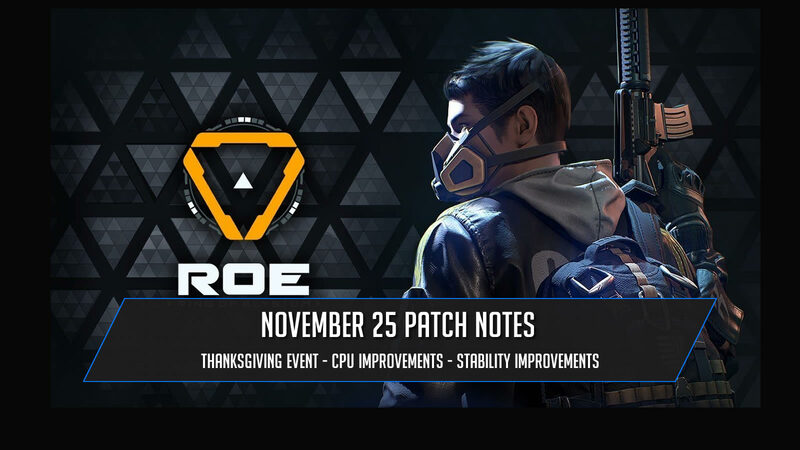 The latest Ring of Elysium patch has been released on November 25, 2018. The patch contains the “Sheriff’s Thanksgiving Present” which is the Ring of Elysium Thanksgiving event. The event will run from 11/25/2018 through 12/2/2018. During the event players will be reward with 3 cards that are waiting to be flipped. Each card flipped will give you access to a reward such as Icon styles, E-Points, Adventurer Badges, Cosmetics, Experience points and more! The patch also includes a new game type called “Training Games”. Training games is a place where new players can go to shoot at bots and learn how to play the game. Training game will allow players to familiarize themselves with the controls and movements in Ring of Elysium. The final part of the update contains optimizations for client side CPU and bug fixes. The full patch notes are listed below. The “Sheriff’s Thanksgiving Present” event is now opened! Card rewards includes the Thanksgiving exclusive Icon styles, E-Points, Adventurer Badges, Cosmetics, Experience points and more! Please note: We absolutely guarantee that experienced players in Ring of Elysium will not encounter any Bots in their games.